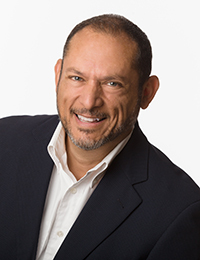 As a second generation real estate professional, David was taught the ropes of the real estate world, from office boy to rental agent to sales professional in San Juan, Puerto Rico. Taking a break from real estate, David opened a restaurant with the help of his family and grew the business to include 5 restaurants in Puerto Rico and the Virgin Islands. David obtained his California real estate license in 1999 while living and working in the San Francisco Bay Area and joined Ron Klemens to form the DavRon Team. David and Ron relocated to Palm Springs in 1999 and worked together up till 2014 when Ron retired from real estate. David brings his years of experience in the art of negotiation, project management, pricing and marketing expertise to buyers and sellers here in the Coachella Valley. David’s service strategy is simple. He concentrates on the client’s particular goals and works diligently until they are met. David never loses sight of the fact that honesty, loyalty, understanding, creativity and accountability are what his clients need and expect.